Banana is one of the most popular consumed fruits across the world. Not many know the fact that the curvy yellow fruit is actually a berry. Packed with wholesome nutrition, banana is considered a complete food, they contain potassium, pectin and high amount of fiber, Bananas are considered fattening, but they in fact help in controlling weight as they are high in fiber, which curb food craving. 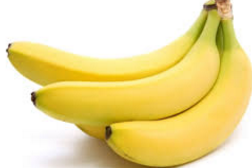 Bananas are extremely helpful in recovering from diarrhea. Bananas can even help in mood alleviation. What are Banana Fruits Called in Hindi, Marathi Gujarati, Tamil, Telugu and Other Indian Languages(Regional)?